If you really want to know the value of your case, the starting point is talking to someone who handles these claims day in and day out. If you want to learn more about your case, call us at 800-553-8082. 2012: $1 Million Verdict. A nineteen-year-old man is walking on the shoulder of Route 40 when he is struck by the Defendant’s vehicle. The young man passes away, but his body is not discovered until the next morning. The defendant driver has fled the scene. The Defendant is identified by the license plate that falls off his car on impact, and it is determined that the Defendant had been driving drunk. Plaintiffs, on behalf of the decedent’s estate, seek damages for wrongful death and loss of society and companionship. A Baltimore City jury returns a $1,000,000.00 verdict. Our attorneys have fought and won millions of dollars in settlements and verdicts in personal injury cases in Baltimore City. If you need a lawyer to fight for you in a serious injury accident or malpractice case, call us at 800-553-8082 or get a free online case evaluation. 2012: $1.8 Million Verdict. Plaintiff fractures his ankle and gets treatment at the University of Maryland. The ankle heals well but man develops a serious bone infection (osteomyelitis). Jury award $209,000 in past medical bills, $931,000 in future medical bills, $571,000 in pain and suffering and $125,000 in loss of consortium for his wife. 2012: Defense Verdict. Fifteen-year-old Plaintiff is walking with three other children near a Liberty Road intersection when the vehicle driven by the Defendant stopps at the center line. The Plaintiff and other children begin to walk across the street near the crosswalk when Defendant changes lanes, and strikes the Plaintiff as he is trying to make a left turn. Plaintiff argues Defendant failed to keep a proper lookout in an area known to be used by children and that he violated state law by having his handicap placard hanging from his rearview mirror. Defendant contends that Plaintiff did not use the crosswalk and that she assumed the risk of her injuries. A Baltimore City jury agrees with the Defendant and awards no money to the Plaintiff. 2012: $1,291,696 Verdict. Plaintiff brings a premises liability claim against the Housing Authority of Baltimore City for lead poisoning resulting in permanent brain damage, including cognitive defects and loss of I.Q. points. Plaintiff, a seventeen-year-old girl, argues that the Housing Authority of Baltimore City (1) failed to warn of the dangers, (2) failed to repair or rectify the paint situation on the property, and (3) violated the Maryland Consumer Protection Act. A Baltimore City jury reaches a $1,291,696 verdict in favor of the Plaintiff. If you have been injured in a motor vehicle accident or by medical malpractice in the county, call us at 800-553-8082 or get a free case evaluation. 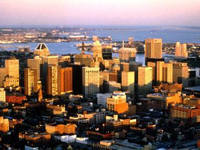 Our law firm handles only serious personal injury claims in Maryland and Washington, D.C.